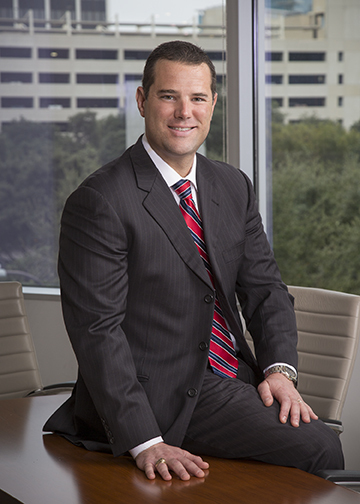 Joshua Ross spent over a decade as lead counsel in high-profile litigation as a state attorney, which included organized crime, fraud, employee embezzlement and identity theft, as well as capital murder, narcotics trafficking, and other serious criminal offenses. With over 70 trials to jury verdict, Mr. Ross joined Cantey Hanger to practice white collar criminal defense in federal and state court, and to continue the firm’s ardent defense of Texas physicians, hospitals and health care providers. Eleven years as an Assistant District Attorney in the Tarrant County District Attorney’s Office, with lead counsel trial experience in the office’s Misdemeanor Trial Division, Family Violence/Domestic Crimes Unit, Felony Trial Division, Juvenile Division, and the Gang/Homicide Unit. Over 70 trials to jury verdict. Lead counsel on thousands of cases. Many of Mr. Ross’ criminal trials garnered significant media attention in local, national and worldwide publications and media outlets, including the Fort Worth Star-Telegram, The New York Daily News, The Daily Mail, etc. Mr. Ross’ prosecution and trial of an Aryan Brotherhood of Texas “kingpin” in 2015 was part of a state-wide law-enforcement crackdown by local, state and federal officials targeting the leadership of one of the most violent organized criminal enterprises in the nation. Mr. Ross serves on the Brown Bag Committee of the Tarrant County Bar Foundation. Invited speaker at the Tarrant County Bar Foundation in 2016: Presentation on Social Media as Evidence in Litigation. Invited speaker at Northeast Tarrant County Bar Foundation in 2016.